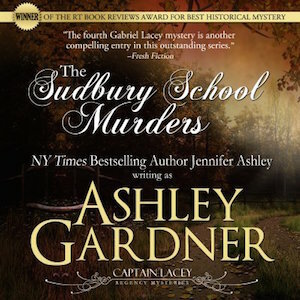 The Sudbury School Murders is out in Audio! As usual, James Gillies has done a fine job bringing the characters of Captain Lacey’s world to life. Thanks all who have given me feedback on Murder Most Historical–it’s helpful! Right now it is my bestselling book on Amazon (to my surprise). I hope to do more novels about Kat Holloway and Emilie d’Armand. Captain Lacey first, though!